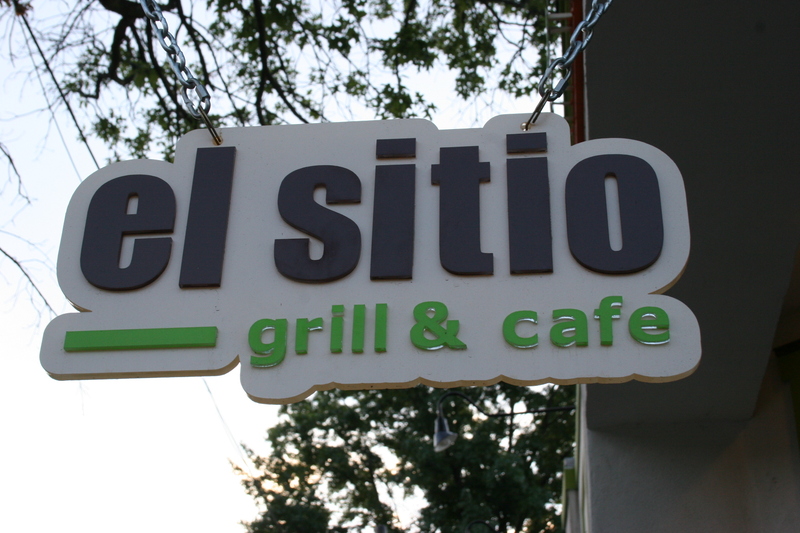 El Sitio occupies the corner spot in Collingswood which once housed Word of Mouth. 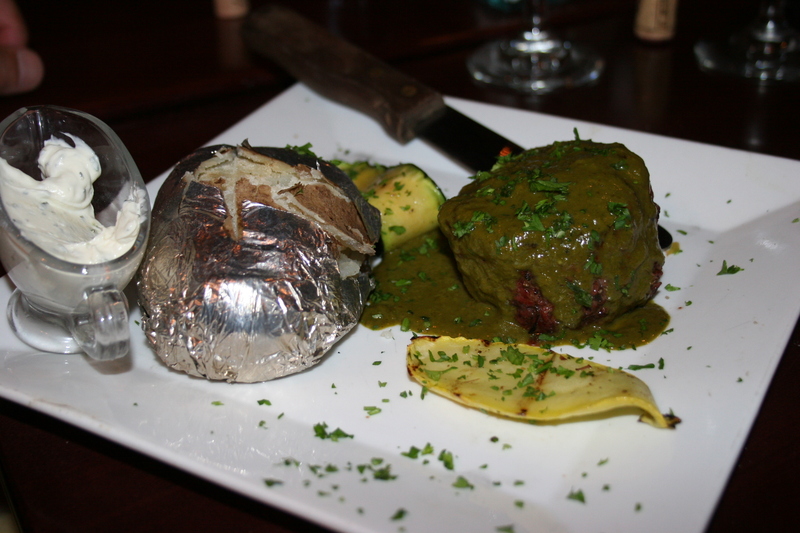 It has a South American flair with heavy emphasis on steak. They have another location is Quito, Ecuador where the parking might be easier but getting there is another story. Our Friday night crowd had been wanting to try this place for some time so I was happy when Sue and Jerry C. suggested it for dinner last Friday evening. Carol and Joe B. joined us and after finding a parking spot Jerry and I joined the others in the bright lime green eatery. I had seen several reviews rave about the bread and mushroom offering that preceded the meal but it somehow never arrived at our table and since I am not a mushroom aficionado, I wasn’t terribly upset at missing it. 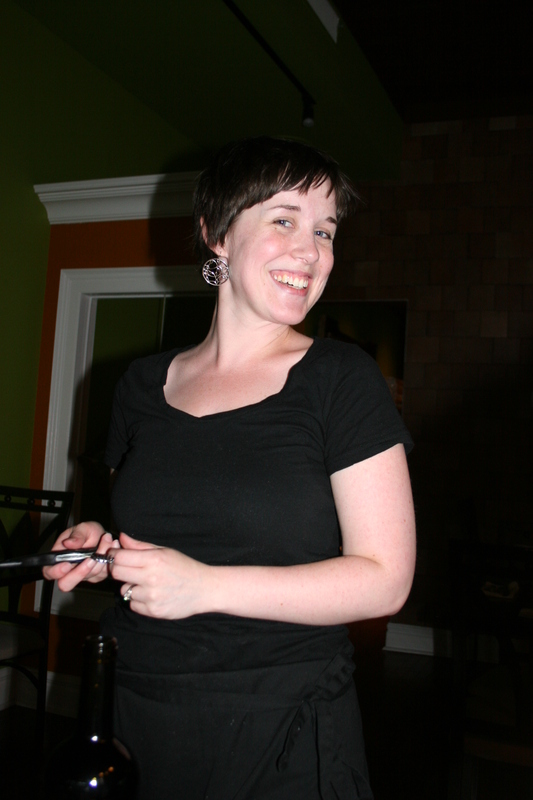 Our server, Nissa, was bubbly and enthusiastic and she recited the evening specials, made some recommendations and opened our wines. 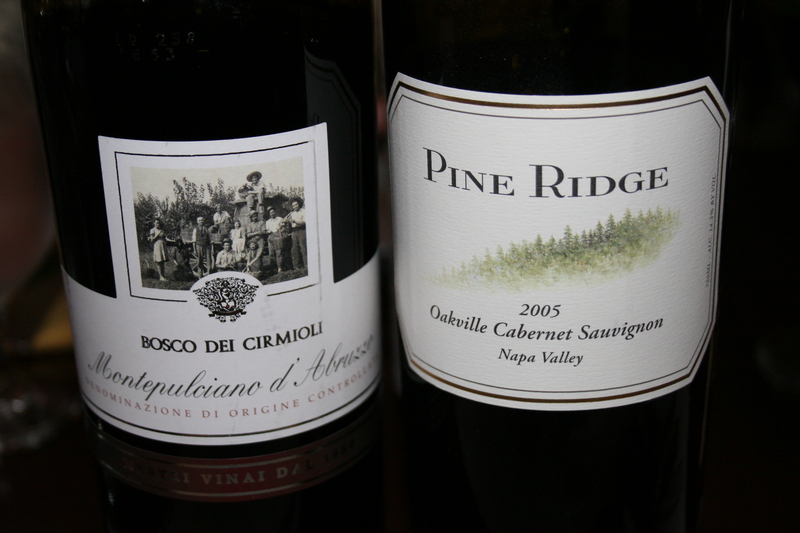 I had brought with me the 2005 Pine Ridge, Cabernet Sauvignon, Napa Valley, a full-bodied typical dark fruit cabernet with hints of leather and smoke with a lingering finish. Joe had a 2006 Bosco Dei Cirmioli, Montepulciano d’ Abruzzo, made from the grape of the same name it has subtle cherry and plum flavors and soft tannins. 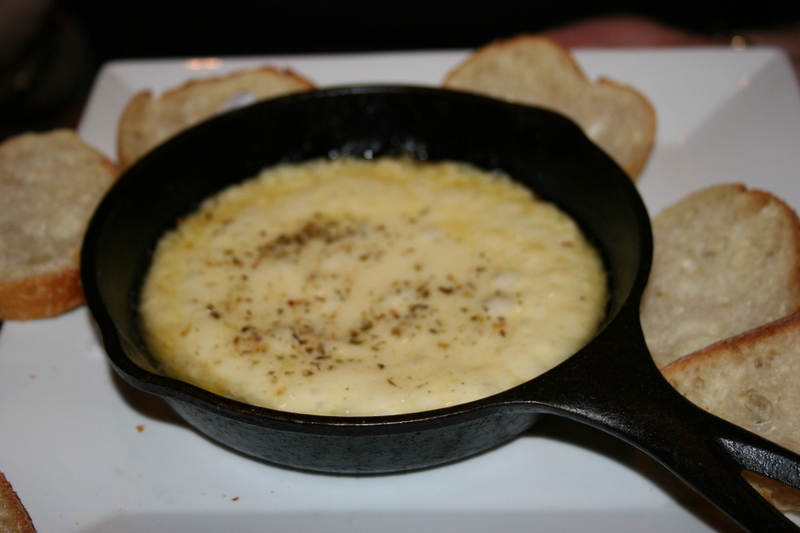 For our appetizers, the women chose the Grilled Provolone with a dash of olive oil and herbs. It was delivered in a pan with several nice pieces of toasted bread and our wives described it “as a heart attack waiting to happen”. They must have all had suicidal tendencies because they devoured it and thought that despite the gooey danger to their health it was pretty tasty and not a bad way to go. The men chose the Argentinian Style Empanadas stuffed with seasoned chicken or beef. 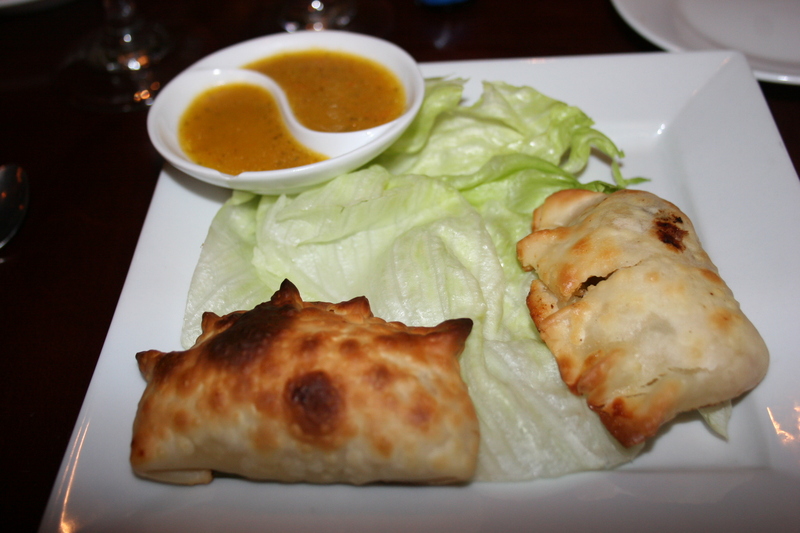 These were accompanied by a nice, tangy dipping sauce and proofed to be a tasty starter. In fact, using that same sauce on the grilled provolone gave that dish an added flair. 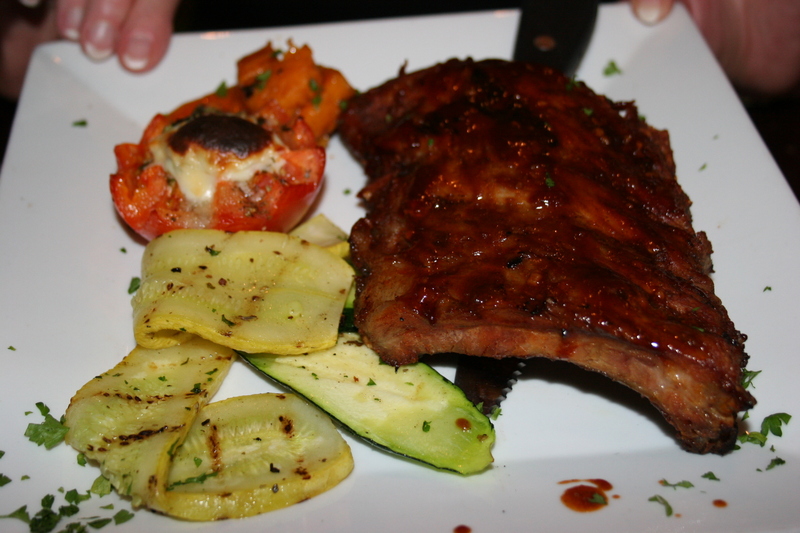 While trying to select our entrees, Nissa mentioned more than once that the steaks were “melt in your mouth good”. 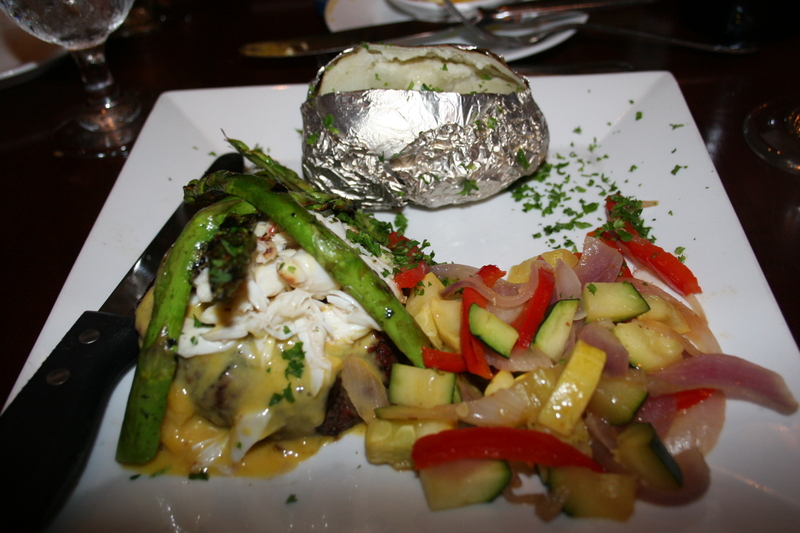 There were a few to choose from and I went with the Tenderloin filet with Dijon sauce, asparagus spears, a vegetable medley and a baked potato. I had ordered my steak done medium-well and it was delivered in a decidedly medium fashion. I wasn’t as concerned about the undercooking as I was about its lack of flavor. It wasn’t offensive, it just wasn’t memorable and not at all in the “melt in your mouth” category. 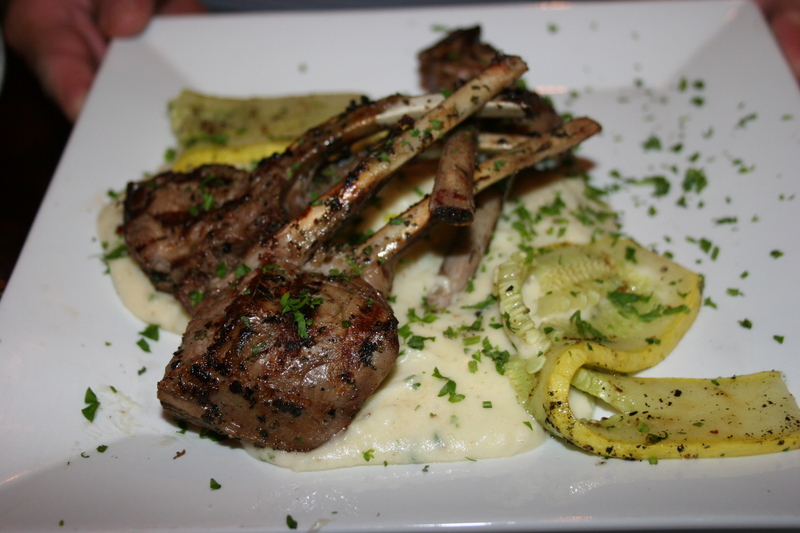 Jerry had the Lamb Chops topped with Dijon sauce and a side of mashed potatoes. Kathy had a half-rack of the BBQ Ribs and Joe had a filet with a special sauce made from beer. Carol and Sue had the highly-touted Lomo Manchego, a sirloin medallion with manchego cheese served on a stone plate with a side of vegetable mix. 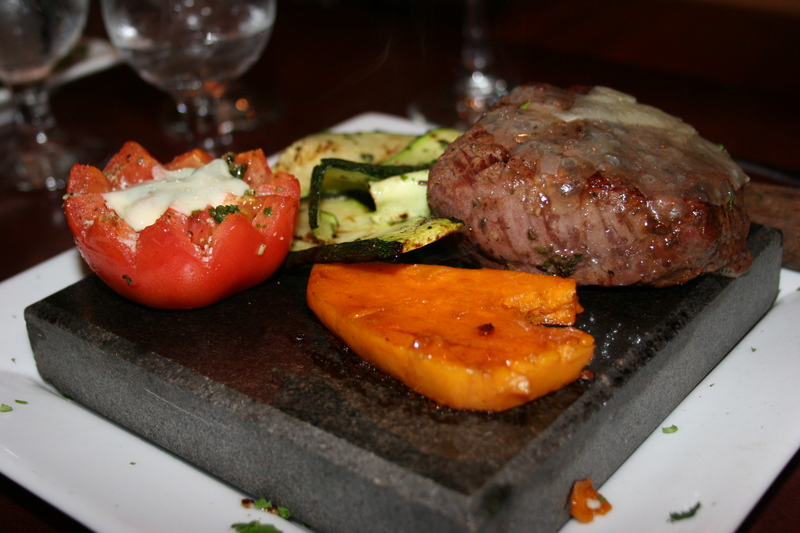 The dish arrived sizzling hot but they found the manchego portion skimpy and were not overly impressed with the meat. 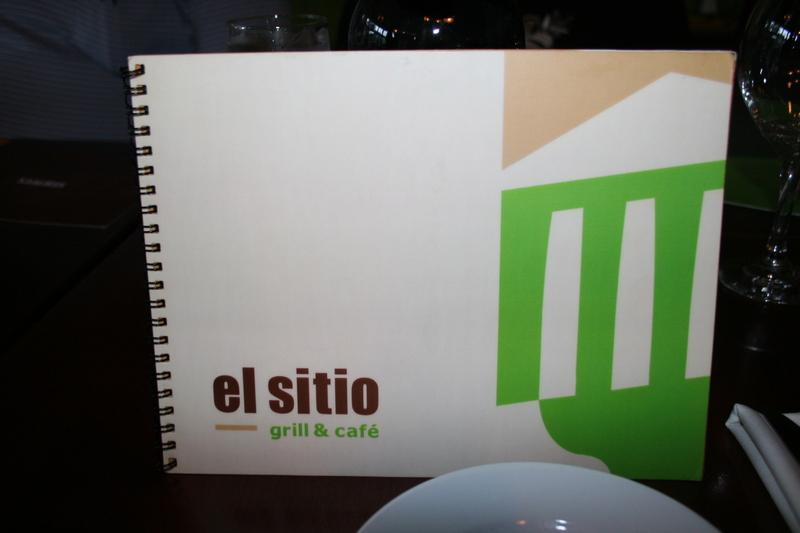 El Sitio is a pleasant enough dining spot. The employees seem happy working there and the ambiance is fine. It may be that we just caught them on an off-night. We did LOVE the appetizers it’s just that the meal peaked there and the entrees did not live up to the advance billing. The place has some nice reviews on UrbanSpoon so maybe we just picked a less than stellar night. It’s worth trying.